Alan kicked off his 2nd grade year at Millridge today, sporting his new Mayfield Wildcats shirt for the occasion! In addition to showing district spirit, Alan loves the color green! At school he had a great day, highlighted by playing the ice breaker game “Find Someone Who…” Fortunately Mrs. Harris, like Mrs. Russo, is on Twitter, so I’ll be able to follow along with Alan all year long. 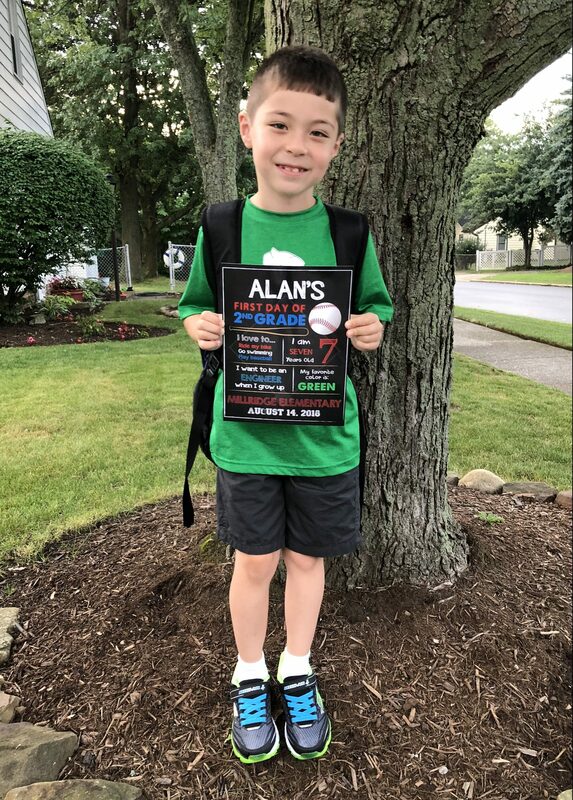 Out of the 21 other kids in the class, Alan knows five kids from his 1st Grade class (Luke, Logan H, De’Onta, Nikki, Giuliana) and three kids from his Kindergarten class (Brady, Noah, and Paige). That certainly helps the transition into the new year. 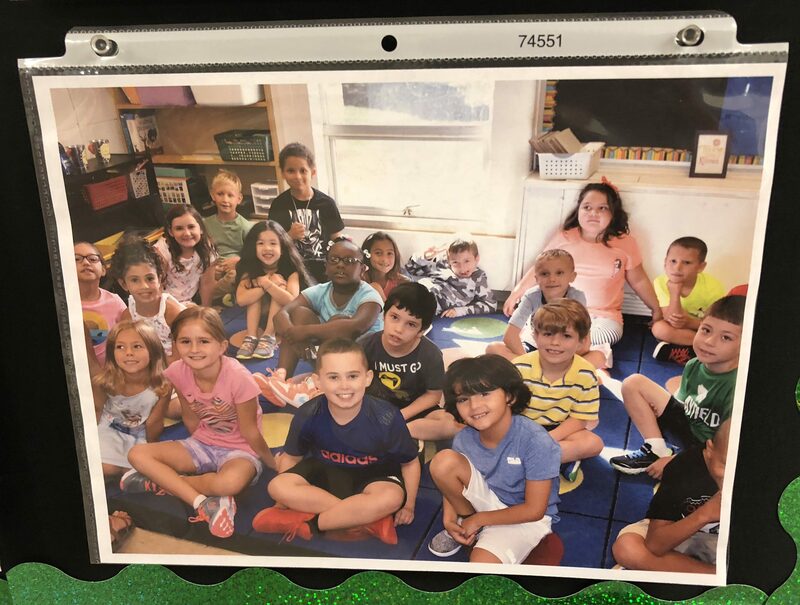 It also represents a sharp contrast from last year, when Alan only knew two girls from his Kindergarten class (though he quickly made new friends). The only bad news of the day was that Alan found out 2nd Grade only has one recess. But on the bright side, he learned that some weeks will feature “double specials,” meaning he’ll have weeks with two gym classes! 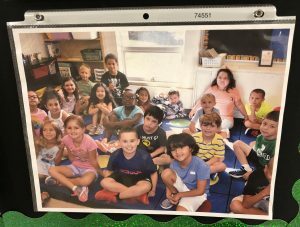 8/28/18 Update: At parent orientation, I found this photo of Mrs. Harris’ class taken on the first day of school. 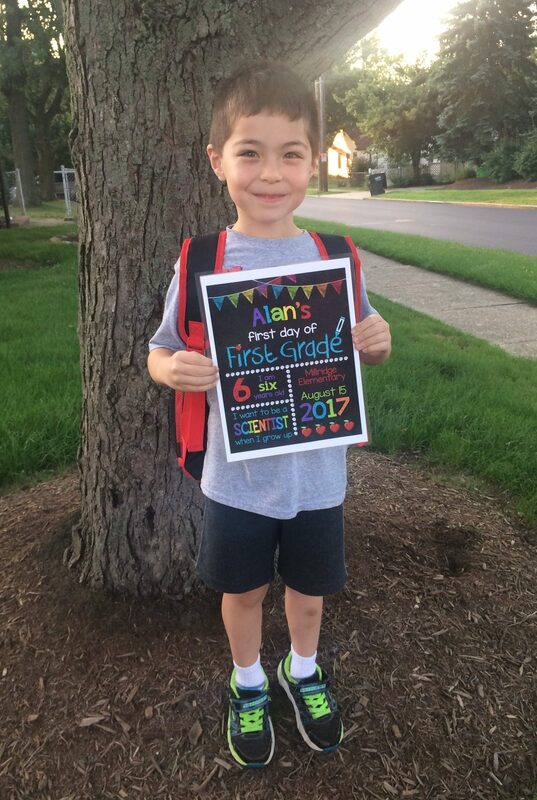 Today Alan started his journey into 1st Grade! 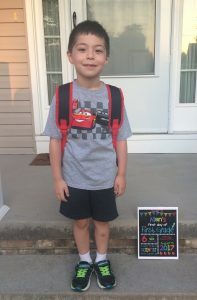 He went to the bus stop about 15 minutes early because he just couldn’t wait to get to school and see all his friends. Two years ago he had to adjust to a new school. 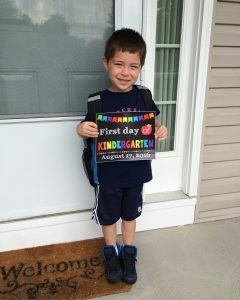 Last year he had to adjust to a full school day and riding the bus. But this year there were no major adjustments. I could tell it was ‘business as usual’ for him now. He’s becoming a pro at this back to school thing. 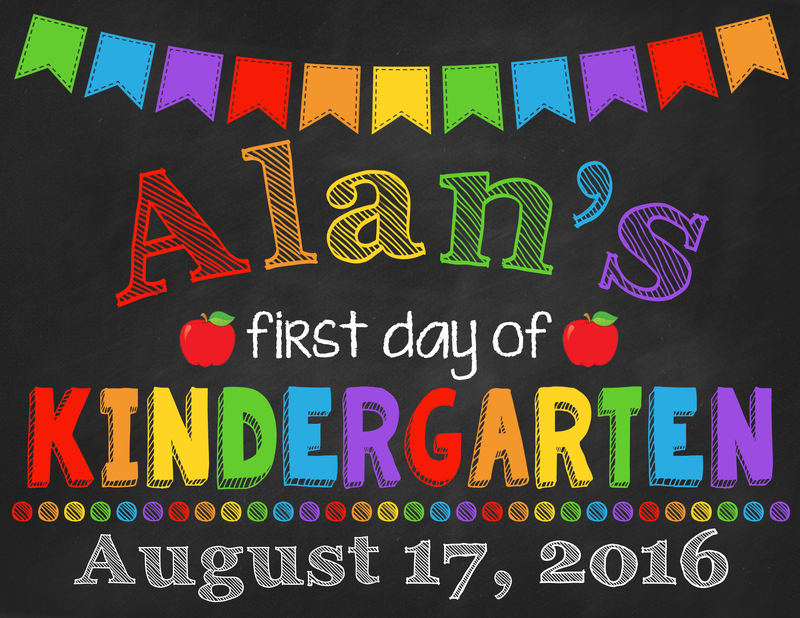 As for how the day went, Alan described it as “Greeeaaaat!” He went on to explain how his class had not one, but two recesses. Clearly it doesn’t get any better than that! 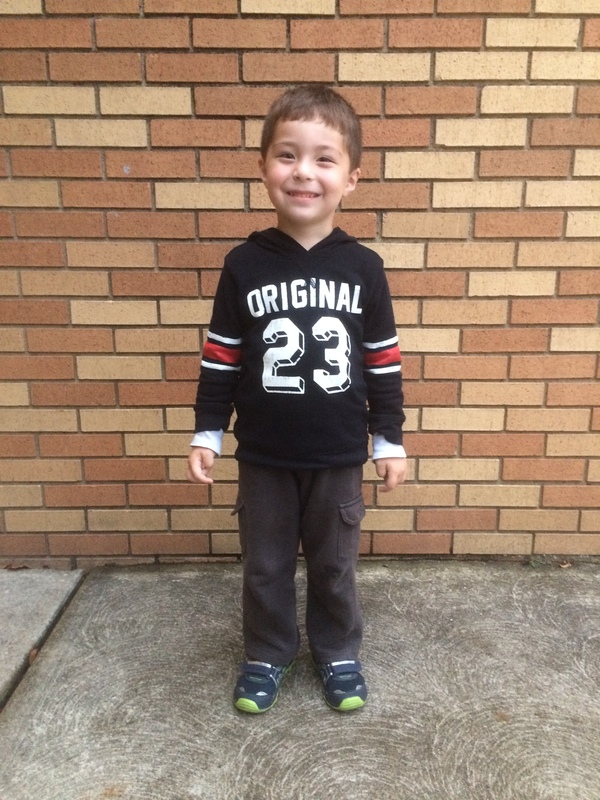 Today Alan kicked off his kindergarten year at Millridge, and I was there to enjoy it with him! On the first day, as part of the “ease-in schedule,” parents attended an informational session in the cafeteria while the kids played in the gym. Then afterwards, Alan and I took a practice ride together on a school bus around Mayfield. 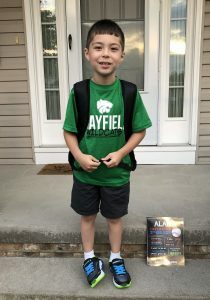 Alan met his teacher, Mrs. Feldman, and saw his friends Joshua (who offered a big hug), Xavier, Riley, and Gabriel today — and even made a new friend named Noah! 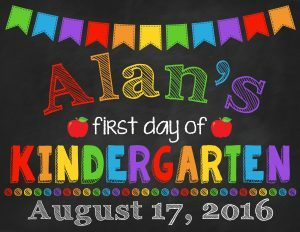 Xavier and Noah will be in the same class as Alan this year. 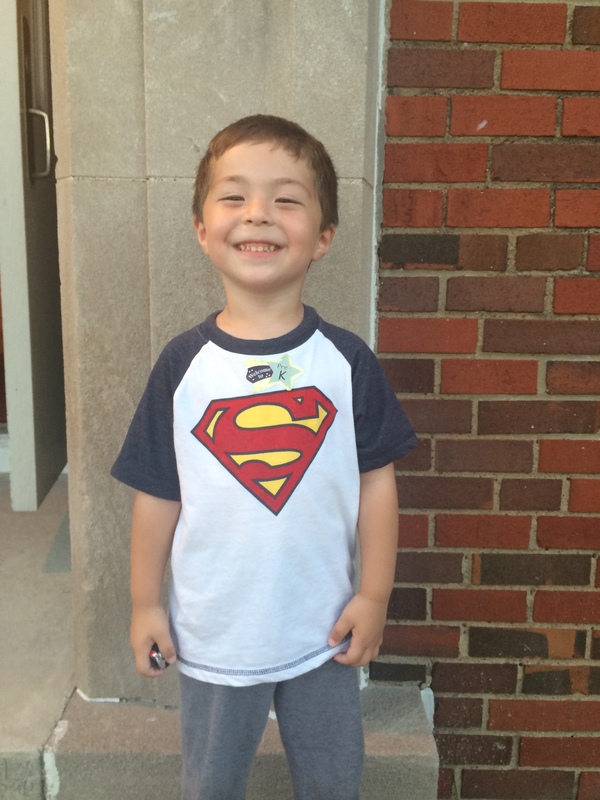 Alan also saw Mrs. Schmid (a preschool helper) and told her all about his summer, including the trip to Disney World! Onto another great school year at Millridge! Year two of preschool is underway for Alan, as he kicked off the new school year today! After a great year at St. Clare, Alan has moved on to be a part of a special program that he interviewed for last fall. Alan was accepted for the role of peer mentor at Millridge, where he will partner with a special needs classmate to learn and grow together this school year.